The smartwatches running on MTK6260 chipsets (like the AiWatch GT08+) do not work well with Android Lollipop 5.0 for Bluetooth notification. Gearbest assured me that the next smartwatch they were sending to me will work more reliably, so I agreed to take it in for a review. The Zeblaze Crystal is priced higher than the AiWatch GT08+ despite the latter having more features, like 2G SIM, camera, micro SD card. After days of reviewing the Zeblaze Crystal, it is definitely worth spending more, for the smartphone notification really works better on Android and iPhone. 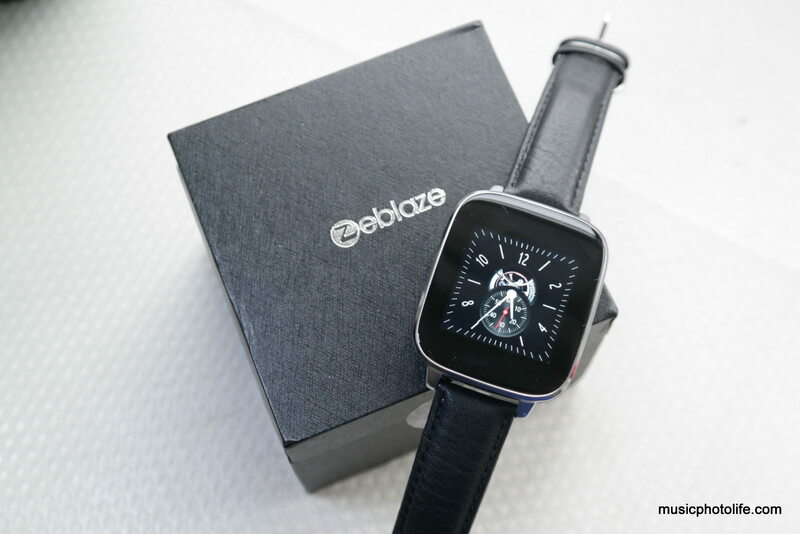 The Zeblaze Crystal is one of the better-designed smartwatches from the booming China-brand market. It looks great as a dress watch, with genuine 20mm leather strap and the subtly-curved touch screen framed by stainless steel plate. 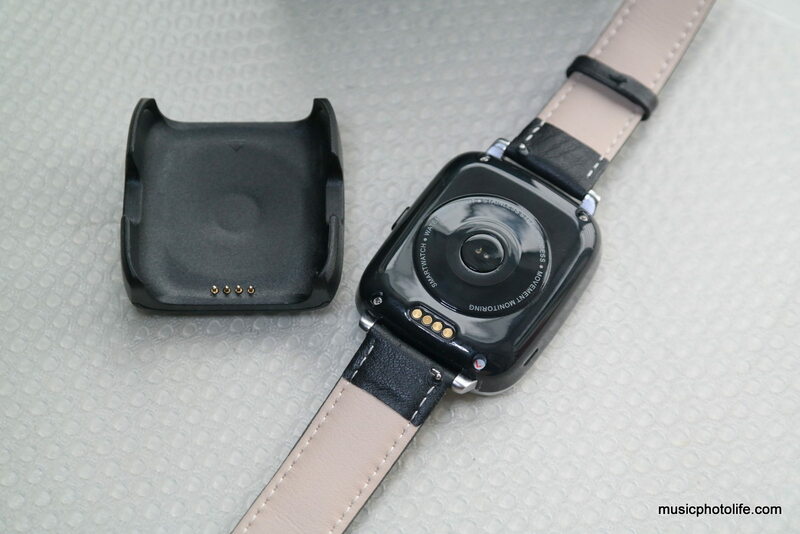 The rear plastic has a glossy finish with a heart rate sensor and charging pins for charging the watch via a dock. 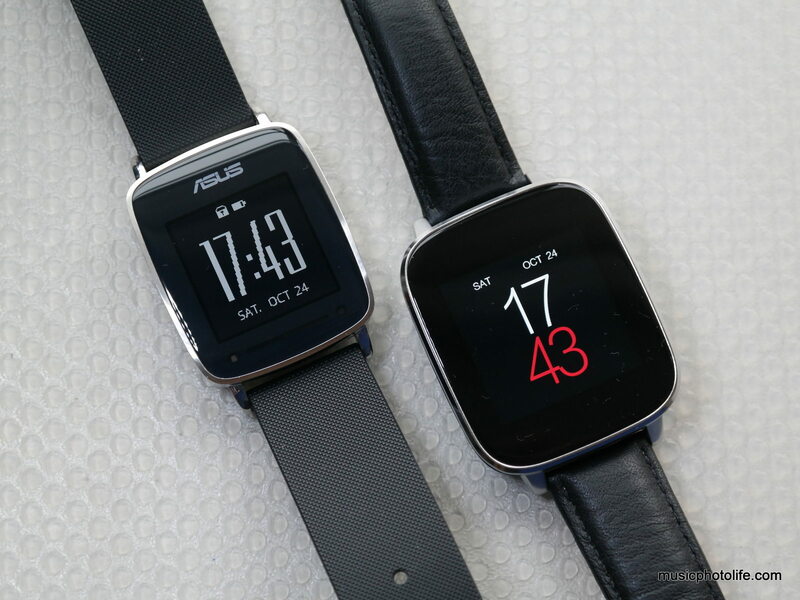 It feels relatively light at 82g compared to most smartwatches, and is rated IP65 so it can withstand running water. I was glad that the Crystal watch comes with a handful of watch faces to choose from, some of which are quite a looker. It appears to support watch face add-ons, though I only found one in the default app page. The watch boots up in an instant, as if it never went to sleep. Shutting down takes a little longer but still relatively fast. The display looks superb with good colour vibrance and contrast. 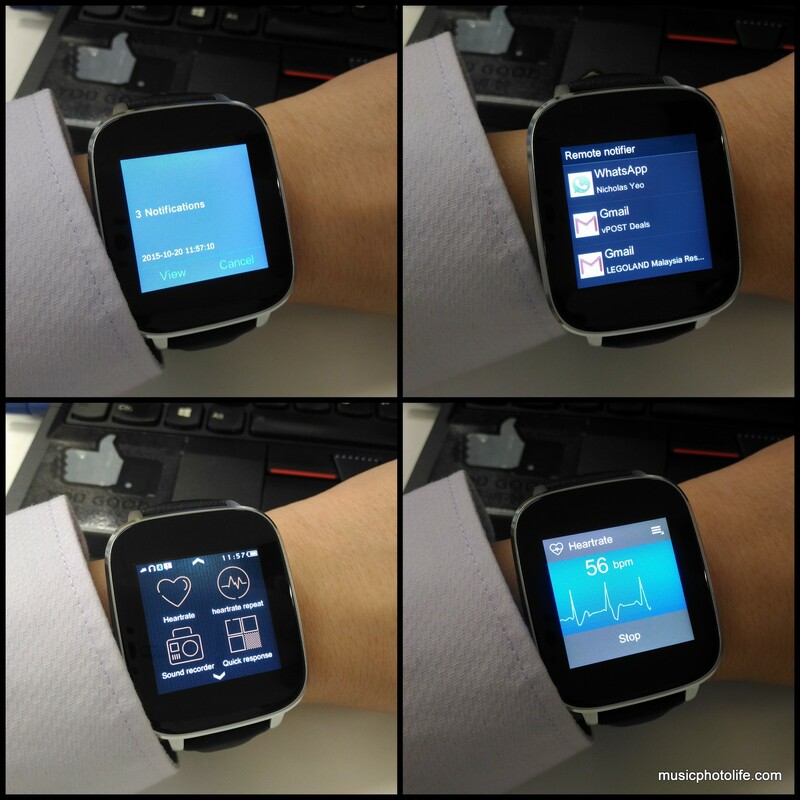 Similarly, the menu interface is stylish and intuitive, while the individual function screen design is identical to the previous generation watches. To navigate from the standby watch face, swipe to the left to access the 2×2 menu, and swipe left again to access unread notifications from the smartphone – fast and convenient. Swipe right to go back to previous screen. On the menu, swipe up and down to access other items, tap to select, or swipe right again to return to watch face. There are 2 UI themes to choose from. The default is coloured menu icons while the other gold outline icon style is certainly more minimalistic. Answering calls, Dialing, Phonebook (remote access from smartphone), Messaging, Sleep monitor, Pedometer, Sedentary reminder, Heart rate monitor (single and continuous), Camera remote (phone must be unlocked first), Music remote, Alarm (multiple alarms supported), Stopwatch (with laps), Calender view (does not support task creation), Weather forecast (via installable add-on), Anti-lost (alarm/vibrate when out-of-range), Audio Recorder. The watch also supports motion gestures with few options under the Settings menu. You can configure the display to light up when you lift your arm to your eyes, or reject calls when you shake the watch. 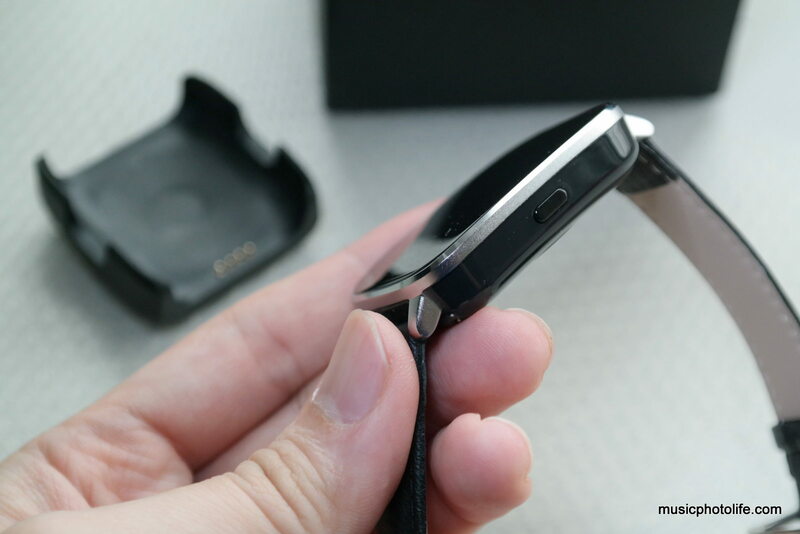 It goes even further by turning off the display automatically when you bring down the arm, but you would imagine the sensor would not work properly if you attempt to view the watch in other angles, for instance, when lying down. The speaker is not loud when streaming Bluetooth music from the smartphone. When receiving calls, the speakerphone is audible but clarity is not on-par with smartphones. Using camera remote, you can activate a live view of the smartphone camera but in low bit rate. Once you trigger the shutter, the image will be saved to the smartphone. The Zeblaze Crystal comes with a companion smartphone app called Fundo Wear (download page) that works with both Android and Apple iOS. 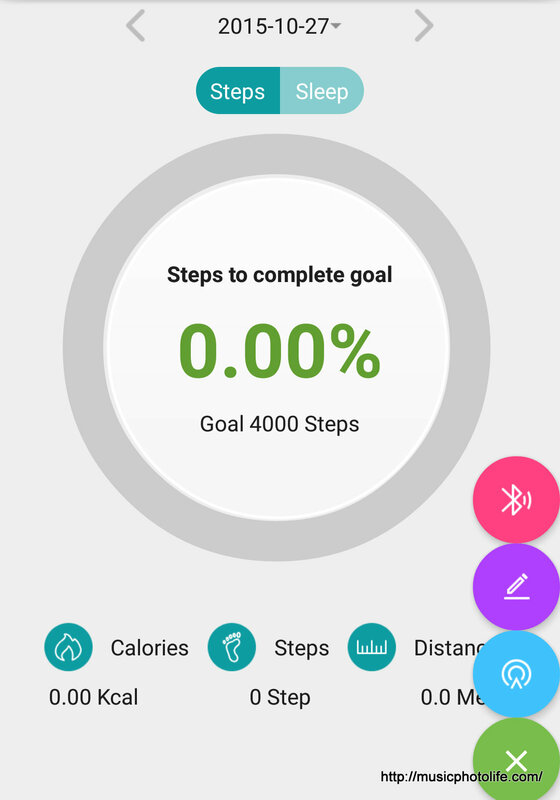 This app works like an activity tracker app, allowing you to sync the pedometer and heart rate results to the app. You need to start the pedometer on the watch to log the stats. 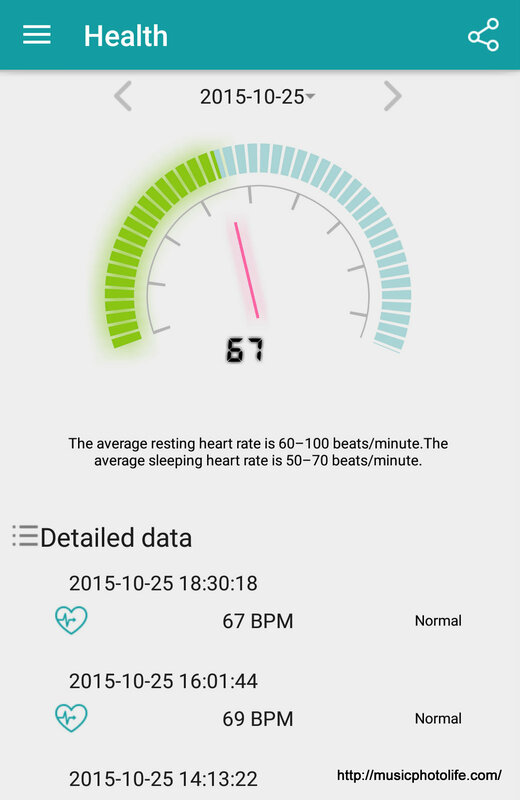 Similarly, you need to log the heart rate monitor periodically on the watch in order for stats to be synced to the app. In a way, it is a good thing that you have the option not to track your steps on the watch. Besides activity tracking, the app will manage notification trigger to the watch. For Android phones, you can select which apps or services to block notification. For iPhones, the watch will sync the list of open notification in the drawer. So even if you remove the notification from the watch, periodically the watch will sync back from the iPhone. Additionally, for iPhone, there is an extra step to enable notification. After the standard Bluetooth pairing, you need to run the Fundo Wear app, and click the “+” button at the bottom right of the home page, and select the pink “connect” icon. This second layer of pairing is to connect to the watch app. 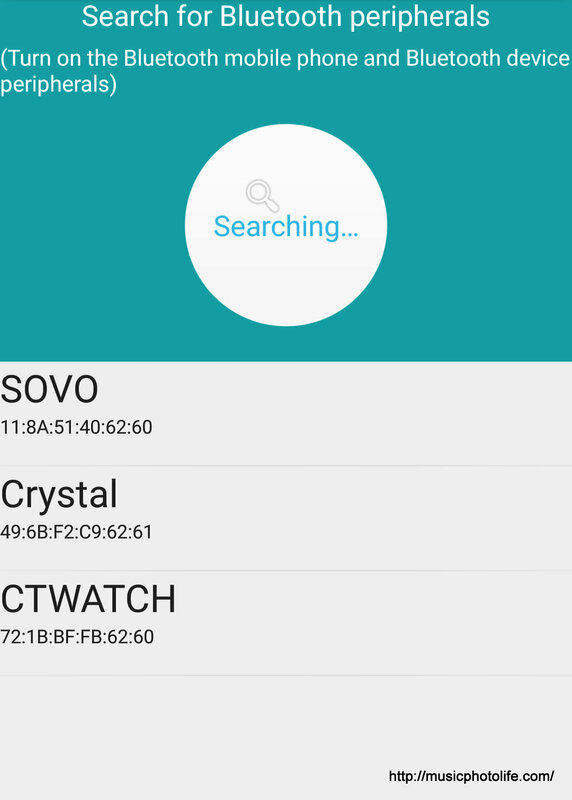 Upon successfully connecting (again) to the Crystal watch, notifications will sync and appear. The watch battery can last about 2-3 days depending on how much you use it. If you turn on the continuous heart rate monitor, it will last about 24 hours. The watch gets a full charge within 1 hour. I’m happy that the Zeblaze Crystal does not disappoint. I can finally receive notifications on my Android phone. Plus, it is fully compatible with iPhone to receive notifications. For a wearable that costs a tenth of Apple Watch yet looks similarly good, the Crystal is an absolute bargain. Be prepared for minor bugs where connectivity is concerned, but it is usually rectified by a soft reboot. This review unit is provided with compliments of GearBest, and is currently selling for US$51.43 (visit product page). Personally, I have made many orders from GearBest and their products are competitively priced. They also have an Android app that makes shopping very convenient. Of course, if you sign up with Shopback before clicking through to GearBest, you will enjoy attractive cashback (click here to read my review of Shopback). I’ve red this review but i’ve a question that is some watches have sensor but this watch is not sensor. Without sensor people can’t measure their jogging, BP and etc. I hope, You will add this feature next modele. I dont get the Fundo Wear app running with my zeblaze Crystal watch to sync Pedometer and heartrate – also Registration in the app is not completed because of missing Registration and activation mail. hi i have a zeblaze crystal watch, and i need a new charger for it , where can i buy one please? How do you turn on English, turn Chinese off? Change cm to ft/in? Change weight from kg to lb? I am trying to figure this out as well on my daughter’s app.